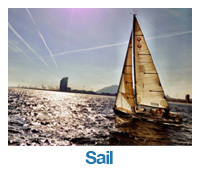 Yachtmaster offshore 2 | MT Sail & Power RYA courses. This level of maritime training has become our speciality and we are the first choice of training provider for Yachtmaster candidates in Barcelona and further afield. 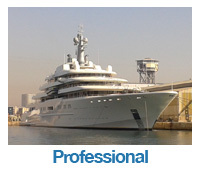 Our Yachtmaster exam success rate is very high due to our personal commitment. The training support we offer to our students is unrivalled. You really need to work for this, not just turn up and expect success. RYA/MCA ‘Yachtmaster Offshore’ is the pinnacle of the sail and motor cruising qualifications, and is a much coveted title that is held in high regard worldwide, and most certainly the first step for a professional career in the nautical industry. You must first fulfil the guidelines set down by the RYA. Pre-course requirements are: 50 days at sea, five days as skipper, 2,500 miles (half of which should be in tidal waters), five passages over 60 miles including two overnight passages and two as skipper. A Marine Radio Operator’s certificate and a First Aid certificate are to be presented at the time of examination. We run the vhfs and First Aid courses as part of our Yachtmaster training programme so we can ensure your application is complete. You should have navigation theory understanding to the level of the RYA Coastal Skipper/Yachtmaster shorebased course. 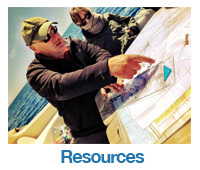 We run our Yachtmaster theory courses in the class room in the week before every Yachtmaster practical training course. We also provide extensive resources and tutorials before hand to help prepare for this intensive course. Our Yachtmaster Instructors will take you through a rigorous Yachtmaster exam preparation training schedule, to ensure you are ready for the assessment. If you are not ready we will tal to you about pathway options. The practical examinations are run by independent Yachtmaster examiners. You are expected to demonstrate your practical ability as a skipper of an offshore sailing or motor yacht, including questions on collision avoidance, navigation, pilotage, meteorology and boat handling. Successful candidates can then work as a Master of commercial vessels of up to 200gt in category 1 to 6 waters – that is up to 150 miles from a safe haven. If the examiner is flying in from outside the island, the exam candidates are to share the expenses between them. these will be detailed including the flights/travel expenses and advise in advance. The exam fee is to be paid directly to the RYA on your exam application form.